So you’ve successfully set money aside each month, and now you’re faced with a new problem. What do I do with it? In this article we’ll cover the main concepts and considerations for investing. Investing strategies will differ from person to person based on their needs, goals and abilities, but there are a few rules which hold true across any good investment strategy. Why should I care? These are the two most important ways to measure how your investments are faring. Return is the money that an investment earns for you. For example if you buy a share of the Funky Toga Store and your share of the profit is paid to you at year end, this constitutes a (dividend) return. Returns are expressed as a yearly percentage of the value of your investment. Let’s say the store pays you $2 this year and your share is worth $25. Your return is $2/$25 = 8%. Capital Gains — The change in the value of an investment that you own. For example if you bought a share of the store for $25 and now someone wishes to pay you $30 for it this constitutes a capital gain of $5. 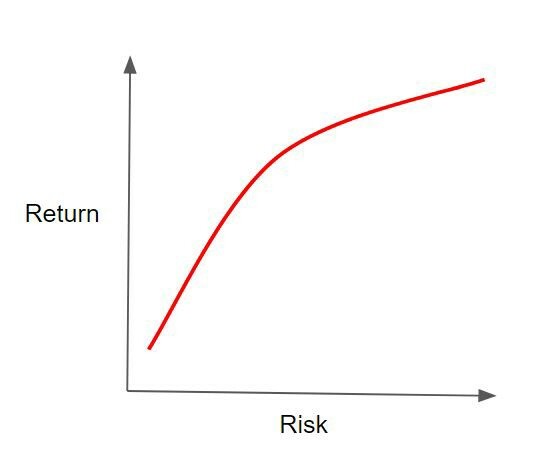 Risk is the volatility of your returns. That is, a risky investment is one where returns swing around a lot; one year you may get 10%, the next year only 2% or even negative 2%! Conversely a less risky investment is one where the returns are very stable. The word risk gets used in a variety of contexts, but this is the broadly accepted definition in the context of investing. As an investor one of the most important decisions you’ll make it your risk appetite, or your willingness to assume more risk in order to earn a higher return. There’s no free lunches here — if a share (or perhaps a crypto-currency) is being sold as a super high return opportunity then it is very risky. Risk is not an intrinsically bad thing, and there are valid reasons for adopting a high-risk investment strategy. Why should I care? This will help you figure out how much risk you want to assume. Your investment horizon is the amount of time you wish to hold an investment. If you’re 25 and you intend to invest for retirement then your horizon is 40 years, but if you wish to put down for a deposit when you’re 30 then your horizon is 5 years. The reason it’s important is because the longer your horizon is the more risk you can assume (and therefore more return!). 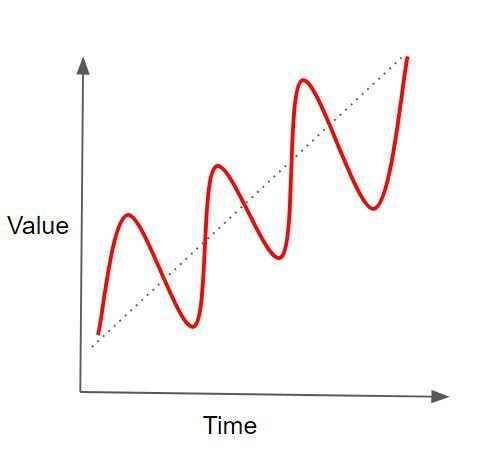 This is what a typical chart of an investment’s value looks like. The value rises over time, but not uniformly. If you have a risky investment, like shares in a start-up company, then you can expect higher returns but with greater volatility. In plain language, the value of your investment is going to swing wildly. 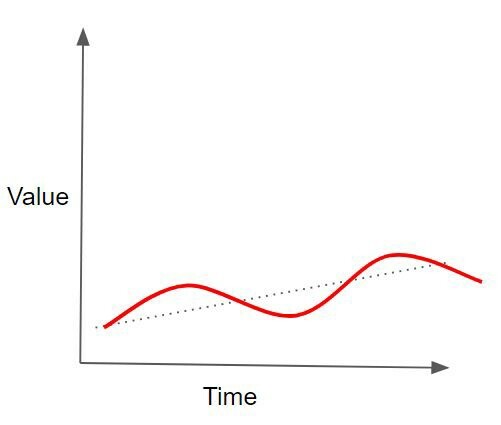 The value of an investment will generally move in sync with a business cycle, that is, the direction of the overall market. In good times most investments will generally go up and vice versa. 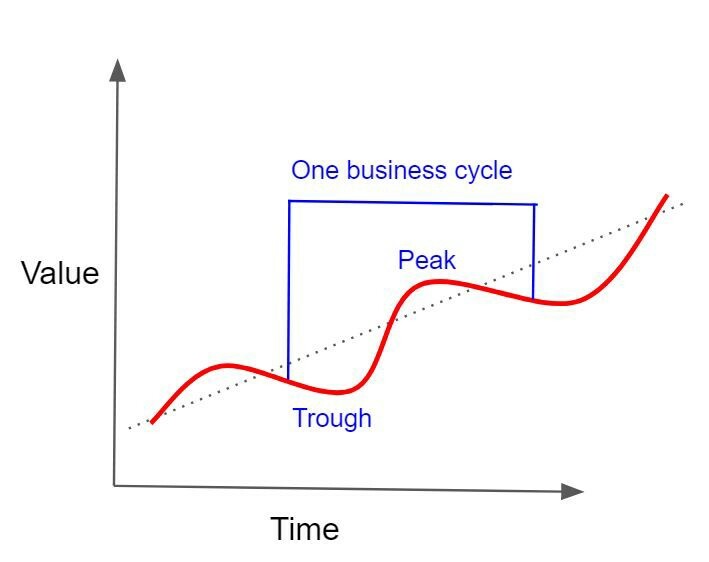 A business cycle lasts around 6 years, meaning in this time you can expect to see one high point (or peak) and one low point (or trough). 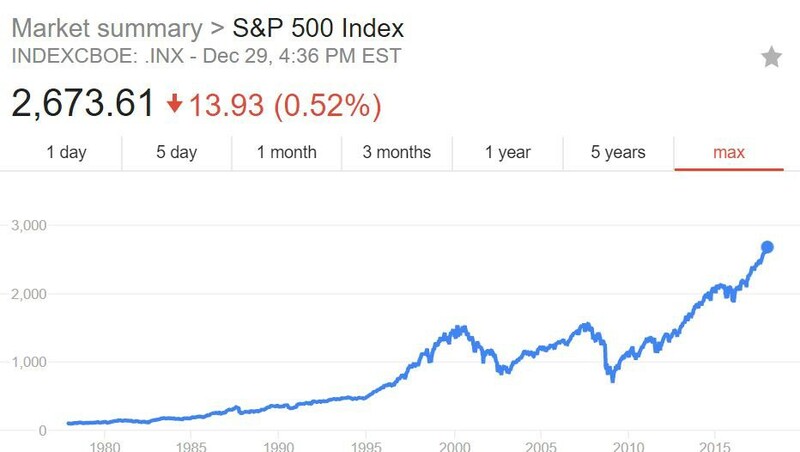 Here’s a chart of the S&P500, which is a way to measure the value of the US stock market. You can see this yourself by googling ‘S&P500’. The latest trough was in March 2009, around a year after the Global Financial Crisis started, and since then the market has risen by almost 200%. It’s very easy to think that the economy is constantly tanking if you’re reading day-to-day headlines, but the truth is we’re in an unusually long upswing. At some stage soon the market will hit it’s peak and begin a downswing to a new trough, and the cycle will start again. There’s an enormous quantity of theories as to why the market behaves in this way, and an even larger quantity of people trying to predict when these events will occur! 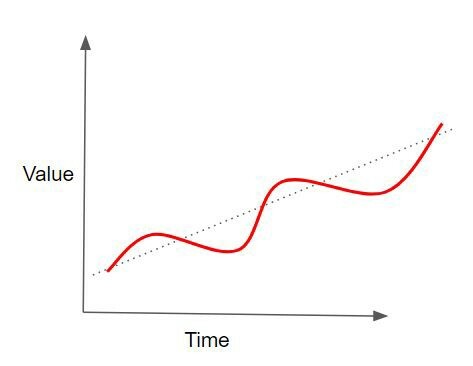 For the purposes of our investing its sufficient to know that the market will always exhibit this pattern of business cycles. If you’re going to hold investments throughout numerous business cycles then your risk appetite should be much higher than if you will be holding for one cycle or less. If you’re investment for retirement it doesn’t matter whether the market crashes tomorrow, you care about what the value of your investment will be in 40 years time! I’ll cover the practical implications of this in another article. Why should I care? This is how you pick your investments. Asset allocation refers to the mix of assets in your investment portfolio. The way you pick what you invest in matters for two reasons. Firstly it will determine the level of risk you’re exposed to. Once you’ve figured out your risk appetite, mainly based on your investment horizon, you’ll need a way to invest your money which reflects this. Property: Can be residential (i.e. your home) or commercial/industrial. Each of the categories can be split into sub-categories, but for the sake of brevity I will not do so here. Suffice to say that one equity will not have the same risk and return quantum as another; a stable, publicly-traded oil refiner is much less risky than a start-up jet-pack manufacturer. The same is true of each asset class. The second reason that your asset allocation matters is diversification. When you spread your investments between different geographies, instruments and companies you are less exposed to one particular thing going terribly wrong — all the eggs are going in different baskets. By diversifying you can lower your risk without compromising return. In fact the risk of an investment portfolio can be split into diversifiable and non-diversifiable risk. The former is the risk of adverse events in specific investments (e.g. the jet-pack manufacturer going bankrupt) which can be reduced to zero by having many investments in a portfolio. The latter is the risk of systemic events (e.g. a sovereign debt crisis which sends the entire market down), which is going to affect you even when you have a well diversified portfolio. Your diversifiable risk should be as low as practically possible. To illustrate the benefits of diversification, let’s say I give you $100 and the opportunity to bet on the flip of a coin. If the coin hits heads you can triple your money, and if it hits tails you lose your money. You can either put $100 on one coin flip, or put $1 on 100 separate coin flips. In the former option you are betting on only one outcome (you are not diversified), and you will either end up with $0 or $300. 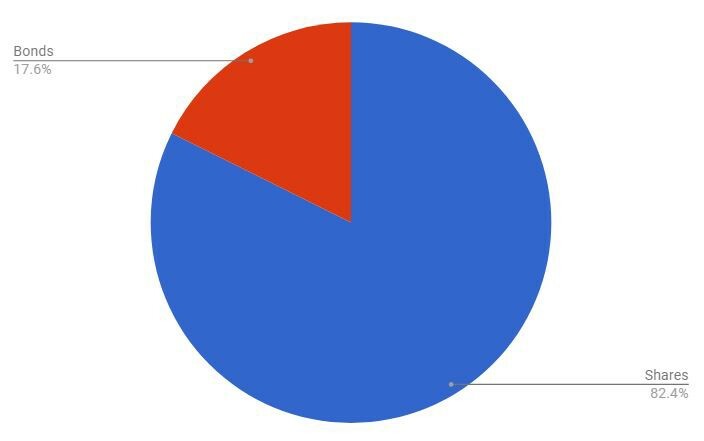 Your average return is going to be 50% (($0+$300)/2), but with a huge amount of risk. In the latter option, where you diversify across 100 different events, you’ll likely end up with about $150. Your average return is still 50% but the range of likely outcomes is in a much smaller band (say $135 to $165).. Same return, but you can drastically reduce your diversifiable risk! Investing should be measured in terms of risk and return. 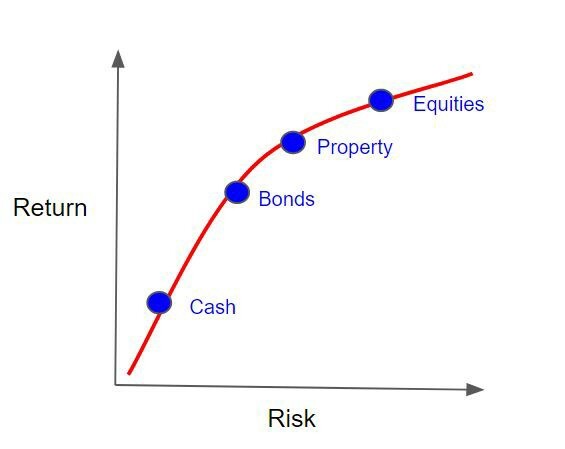 Return is how much your investments will earn, and risk is how uncertain the returns are. The two are inextricably linked. When deciding how much risk (and correspondingly how much return) you wish to take on (risk appetite), the main consideration is how long you’ll be investing for (investment horizon). The way you setup your investment portfolio (asset allocation) should reflect your risk appetite. I know that this article was very theoretical, and what most people want is quick answers about how and when to invest. As I’ve said before, I think that the basics are important. Without an appreciation of these concepts you wont have the grounding evaluate and understand other, more practical advice which I’ll cover in my next articles. Oliver is a banker who has an ambition to help millennials learn the adult skills they never got taught. To follow his journey head to his medium page here. If you have questions then please email or comment and Oliver will do his best to answer.